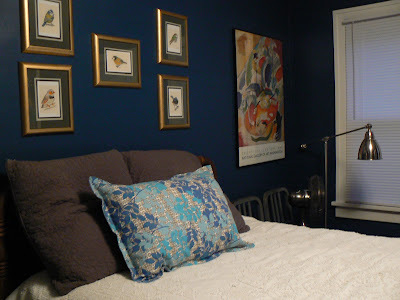 My Little House Design: No Sew Pillows = FAIL. Sometimes I suffer from overconfidence. I see something on a blog or Pinterest and I think, "yes, I can totally do that." Then I majorly fail. Oh well, you only live once (you just got YOLO'd ya'll). They look great right? I thought so too until a few weeks later when they totally fell apart. The first pillow on the bed is made from two Crate and Barrel tea towels that I found on clearance for $4 a piece. I've had them for over a year with the idea to do this, but just had never gotten around to it. The second was from a yard of fabric that I bought while at Mood in New York two years ago (yes, the Mood of Project Runway fame). I used no sew tape (I had to borrow an iron because I don't own one) to basically glue the two pieces together. 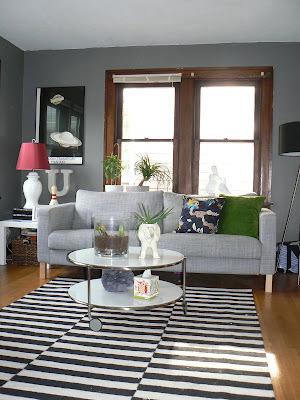 I filled the Crate and Barrel pillow with stuffing from old bed pillows and the Mood fabric I put on old throw pillow I wasn't using anymore. 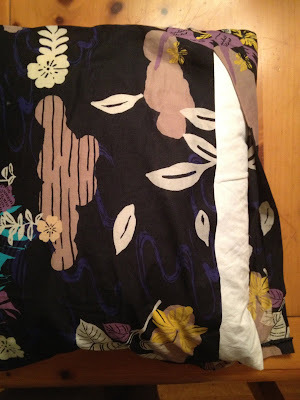 Maybe I didn't follow the hem tape directions properly because within a few weeks the seams were starting to gap. I would maybe have understood if I was using these pillow to sleep with or I had kids that were throwing them around but I was nervous about the tape to begin with so I have been gingerly putting these pillows away whenever anyone comes over for fear they would rip. I guess maybe it was a self-fulfilling prophecy because they are a hot mess now. Boo. The Crate and Barrel pillow as just as bad, I just didn't take pictures of it before I fixed it. 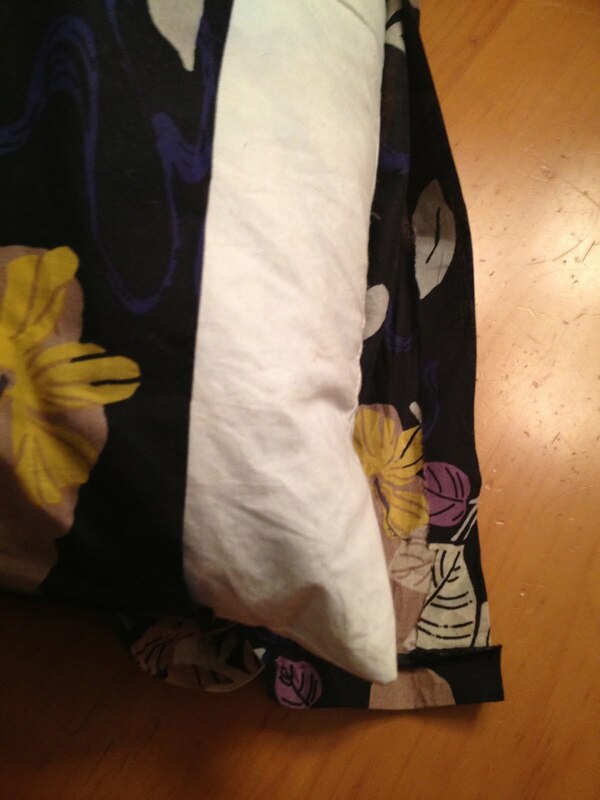 I hand sewed the gaps in that pillow but this one is just beyond repair. I think I may just have to get out my sewing machine and pray I break out of my bad luck streak. This post isn't a 'how-to' or even a 'how-not-to' but more of a warning that some things are too good to be true. Although, many bloggers have done this project and reported back that it was a success so maybe I just didn't read the instructions carefully enough. I'll update you if I break out my sewing machine and attempt to sew these back together... but don't hold your breath. Have you ever tried this stuff? Did it work for you? 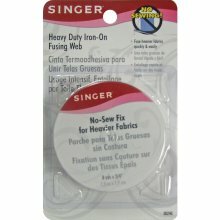 I used Singer's iron on fusing web. So not every project is a win, but that doesn't keep me down... on to the next one!